Arcade beat em ups where some of my favorite games back in the ’90s. 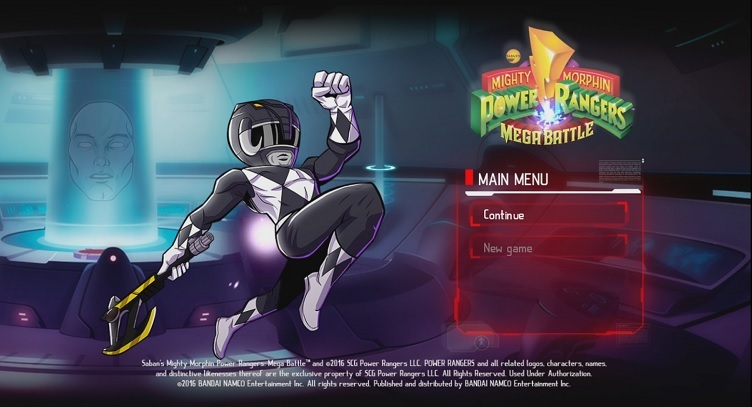 When Bandai Namco Entertainment revealed its upcoming title, Mighty Morphin Power Rangers: Mega Battle, I instantly was sent back to my days of playing the Power Rangers games back on the Super Nintendo with my friends, except this time four of us can play. Right before the PlayStation Experience, I had a chance to get hands-on time with the game. Teaming up with two others players, we jumped right into the first stage of the game, Angel Grove. The game is a reimagining of the original television and does a great job of bringing the nostalgia with voices pulled straight out the show and a 2D animation style that is rather fun to watch and play. The game follows the usual beat em’ up formula with linear progression as you fight through waves of enemies. Players will be able to use their blasters, weapons and even grab opponents to use them to whack other enemies. There were a few interesting thing you will see in the gameplay video posted below. As you defeat enemies or collect certain orbs, you are able to enter a mode where you can unleash a flurry of attacks on your opponent and use all your abilities for a limited time. You will also be able to upgrade abilities and skills, including the ability to combine all your weapons, and eventually unlock the Green Ranger which seems likely to happen at some point in the game. It will be interesting to see how far the story goes in the game, especially since the original trailer for the game showed off Lord Zedd. Since its announcement, I was interested to see how the Zords would work in the game, especially if there are four people playing it. At the end of the third part of the demo, we fought a large monster by attacking its arms, only for Rita to “Make My Monster Grow!” (One thing I always liked hearing from the show) and suddenly we summoned the zords. At first, it became a mini game section where we had to shoot certain points on the enemy’s body and destroy balls of energy coming out way after that. We transformed into the full Megazord and… it became a quick time event. While I was hoping for a huge epic battle, instead each person had to enter the button sequence correctly. If any of the other player messes up on the order, you miss and take damage. It’s something that we found out as we played and was a bit lacking, seeing as how everything was leading up to this epic moment. It’s not a deal breaker and makes sense if you have four people playing at once. Overall the game is pretty fun. No word if there will be online multiplayer, which would be a nice way to play with friends. You especially get to enjoy the great soundtrack from the original TV show, which still sounds great to this day. Mighty Morphin Power Rangers: Mega Battle is set to release for the PlayStation 4 and Xbox One in January. No price has been revealed. The most important question is which Ranger will you choose?